Lucilinburhuc is the ancient, Saxon name of the capital city, now called Luxembourg City, which means “Little fortress.” It was also known as, “The Gibraltar of the North” for it emulated the strategic location along an important military route, linking Germanic and Frankish territories. Luxembourg is a tiny country of just 998 square miles, located in Europe. The country is bordered by Belgium, France and Germany. Good things must come in small packages as we explore yet another country that is one of smallest, yet one of the richest. Officially known as “The Grand Duchy of Luxembourg”, it is the only Grand Duchy that remains in the world today. It is run as a constitutional monarchy with hereditary succession. The powers of the Grand Duke are primarily formal. Executive order lies with the Prime Minister, who is appointed by the Grand Duke. The Grand Duchy has belonged to many kingdoms and empires over its long history. Today the Grand Duke is Henri of Luxembourg. He and the Grand Duchess reside in the Berg Castle and use the Grand Ducal Palace for official business. The City of Luxembourg’s old quarters and fortifications are an UNESCO World Heritage site. From the 16th century until 1867 it was one of Europe’s greatest fortified sites. It was continuously reinforced as it passed from one great European power to the next. The Holy Roman Empire, the House of Burgundy, the Habsburgs, French and Spanish Kings and finally the Prussians, all had a hand in its history. The Old City is located at the confluence of the Alzette and Petrusse Rivers. It is on an extremely steep outcropping, which acts as a natural fortification, and offers a spectacular setting as well. Luxembourg is a beautiful country with a mild climate. It has lush, forested hills in the northern third, known as Oesling. These hills and valleys are home to the ruins of numerous castles which are a big tourist attraction. It is also home to a network of rivers which join the Moselle River on the border with Germany. The southern two thirds of Luxembourg are known as Bon Pays, or Gutland which means, “Good Land” in both French and German. This is the most populated area and also home to Luxembourg City. The canalized Moselle River connects them with the Rhine Waterway System, providing an avenue for the international movement of goods. The slopes of the Moselle River valley are covered with vineyards, which produce excellent wines. This area receives a substantial amount of sunshine, which is why it is called “Little Riviera.” The fertile soils of the lower Moselle and Sure valleys are rich pasturelands for livestock and agriculture. The prosperity of Luxembourg came from the iron and steel industries, which in the 1960s represented 80 percent of their exports. Today, it is international banking and financial services, along with information technology and electronic commerce, which are the most valuable components of the economy. Many of the world’s largest companies have their European headquarters in Luxembourg; companies like Skype, Amazon and Paypal, just to name a few. Luxembourg is also known for the RTL (Radio, Television, Luxembourg). The group is Europe’s largest TV, Radio and Production Company with 34 television channels and 33 radio stations in 12 countries. The Luxembourgers are world leaders in demonstrating the highest standard of living and per capita income. They have the highest minimum wage in the EU. Additionally, the Heritage Foundation has ranked Luxembourg first in Europe and fourth in the world, for economic freedom. It is also very safe place. According to the UN it is the least likely place you will ever be shot. They have a police force of 1300 officers and only two jails. Luxembourg was occupied by Germany during both World Wars, despite being a neutral state. After World War II, they joined forces with Belgium and the Netherlands to form the Benelux Customs Union in 1944. It was a founding member of the European Economic Community in 1957, which became the European Union (EU) in 1993. Luxembourg was also a founding member of NATO in 1959. The highest court in the EU in matters, of EU law, is located in Luxembourg. The most powerful person in the EU, Jean-Claude Junker, holds the position of President of the European Commission and is Luxembourgish. He has held the position since 2014 but has not been without controversy. At the end of 2014 investigative journalists leaked some 28,000 tax agreements and other documents of about 350 companies, including Pepsi, IKEA, Proctor & Gambles, JP Morgan and FedEx, which exposed how they saved millions due to Luxembourg’s favorable tax rates. The scandal was called Luxleaks and has forced major business reforms. The population of Luxembourg is small, with only about 563,000 calling it home. Almost half of the permanent residents are foreign. 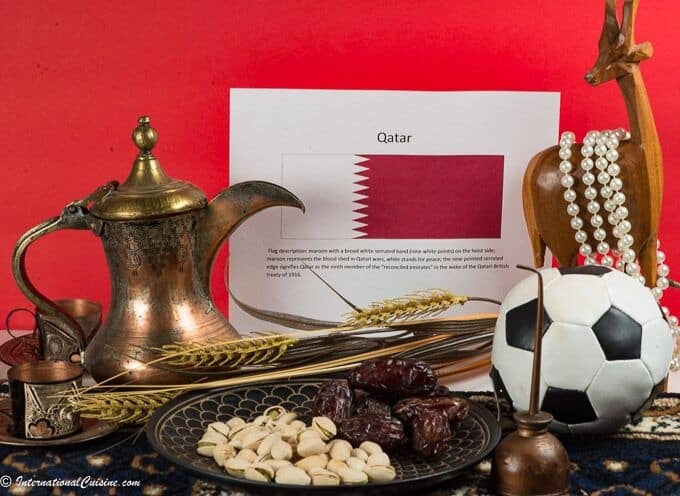 They have about 170 different nationalities living in the country. 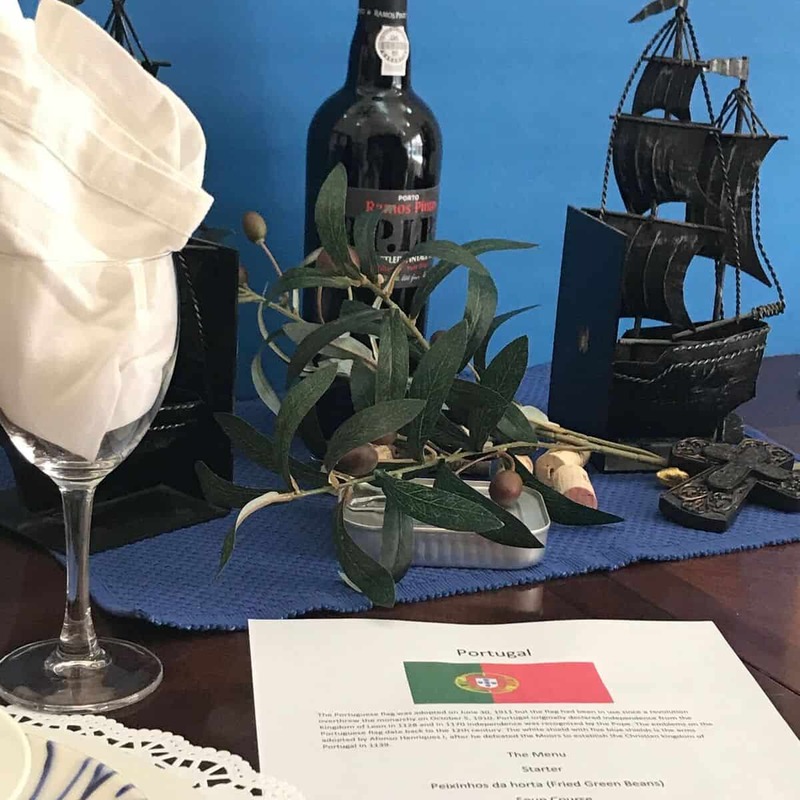 Portuguese make up the biggest minority group, at 16.4 percent. The official language is Luxembourgish, a dialect of German with French mixed in. Children are taught Luxembourgish in nursery school, then taught French and German in primary school and then English at the secondary level. All four of these languages, as well as Portuguese, are commonly spoken. The Luxembourg Parliament uses Luxembourgish, however, the laws are made in French. School attendance in the Grand Duchy is compulsory between the ages of 4 and 16. There are both public and private schools, all geared toward university and higher education. Most citizens go to other countries for their higher education but now Luxembourg offers their own university as an alternative, which focuses on business and management, the arts and healthcare. There are lots of festivals and holidays in Luxembourg; many of them religious, as 87% of the population are Roman Catholic. The capital, Luxembourg City was actually listed twice as the “European Capital of Culture.” They do a good job of promoting their heritage, along with their leading artists, photographers, writers and musicians. The cuisine of Luxembourg is largely influenced by its neighbors. It is often described as food that combines the rustic German heartiness, with French finesse and a little Iberian flavor thrown in, for good measure. Luxembourgish food will be large portions, lots of meat, fish, potatoes, and beans usually with cream and wine. There is a rediscovery happening of the traditional cuisine, with many chefs including recipes from their grandmothers on the menu. Some of these dishes are Judd Mat Gaardebounden (neck of pork with broad beans), Traiipen (fried blood sausage) served with applesauce and Kuddelfleck, (tripe served breaded in a tomato sauce). 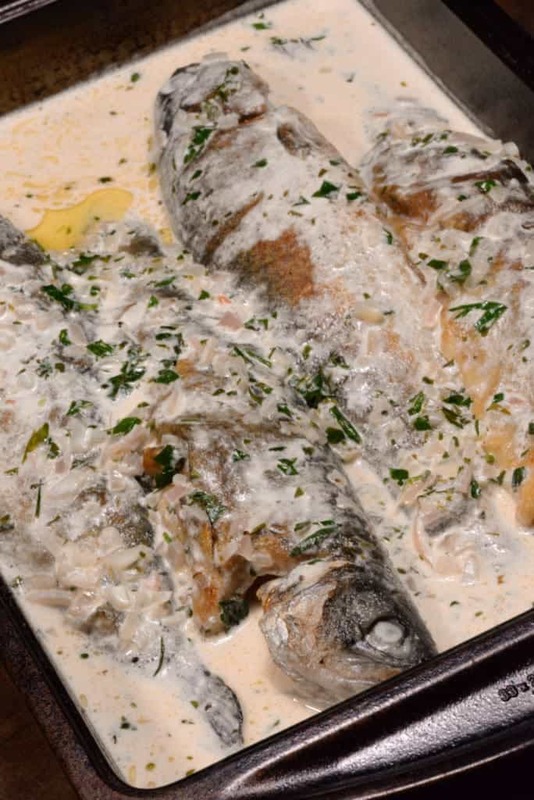 The Moselle River Valley is known for trout in Riesling sauce, fried fish and home-smoked ham. So let’s enjoy a Luxembourgish meal. 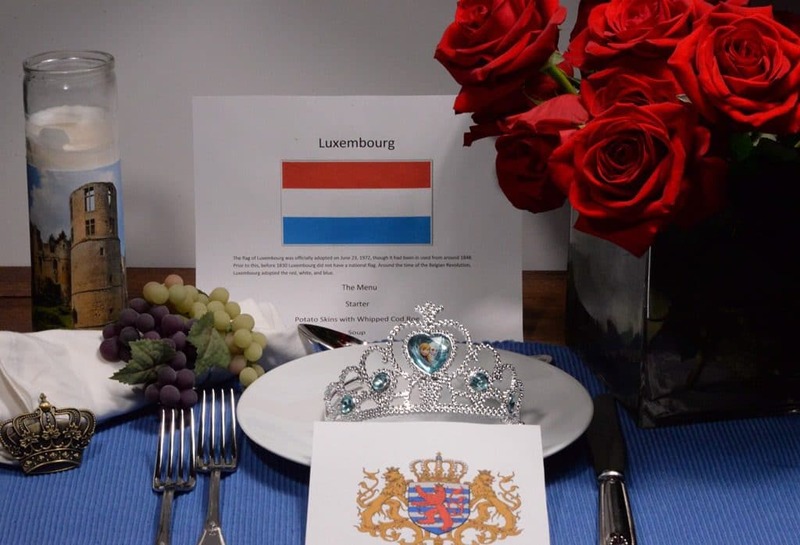 We set the table with the colors of the Luxembourg flag; red, white and blue. Our centerpiece was a lovely bouquet of red roses, their national flower. We enjoyed the meal continental style (fork in the left hand, knife in the right) which is customary there. This meal was extra special as we were joined by my sister and her husband from Texas, whose company enhances any occasion. Dining etiquette in Luxembourg is formal. We began with a toast of a nice glass of Riesling that the country is known for and said, “Prost” which means “Cheers” and joined with a clink of our glasses. Our starter course was a really delicious and unique appetizer that is well worth the effort. 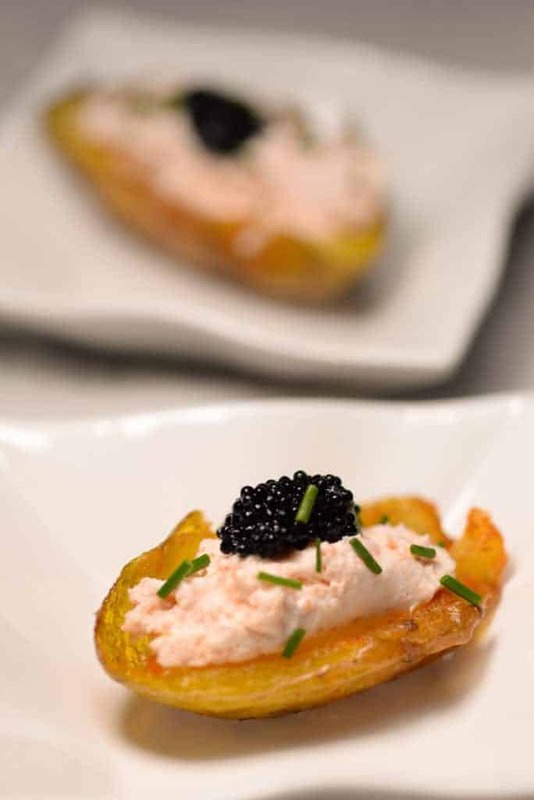 It was a fried potato skin, stuffed with a whipped cod roe and topped with caviar. 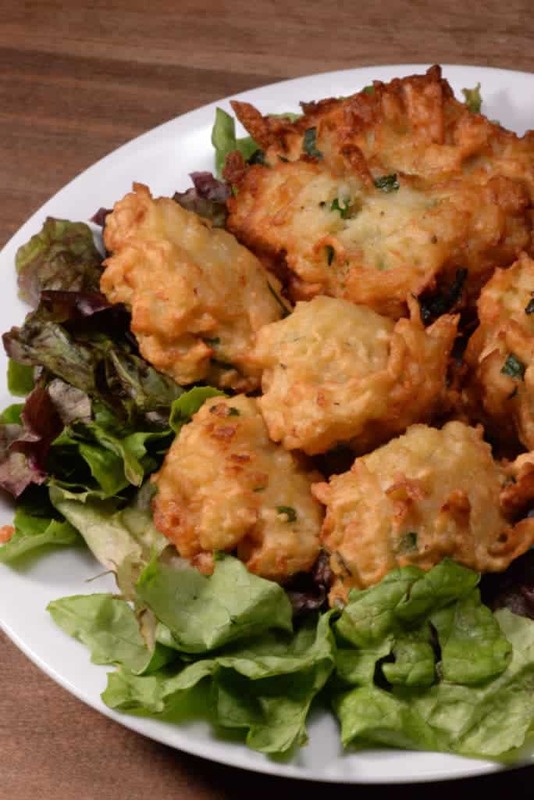 This was a luxurious and wonderful appetizer and a great beginning as to what was to come. 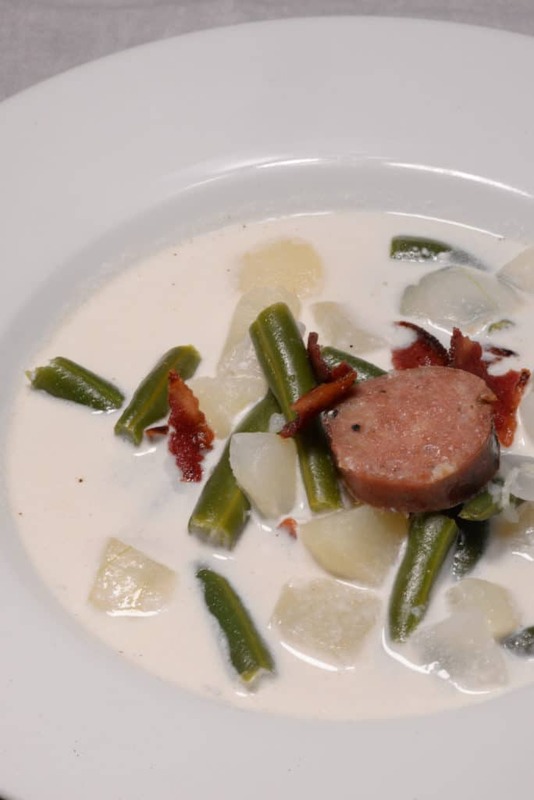 A soup course came next; a very popular dish in Luxembourg called, Bou’neshlupp. This was an amazing green bean soup made with diced potatoes, chopped onion, and bacon bits with a dab of cream. The sliced green beans in the soup were cooked perfectly “al-dente.” We all loved it! 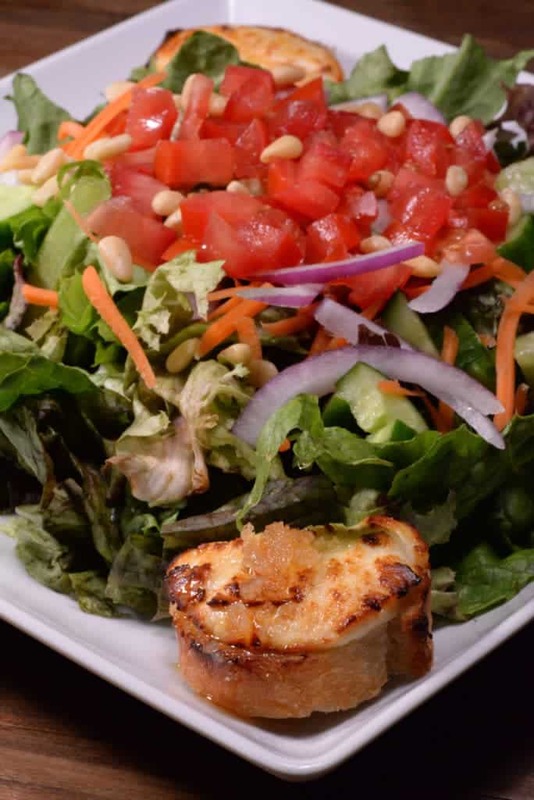 The next three dishes were served family style; an elegant, garden salad made with super, fresh salad greens right from the International Cuisine garden, topped with home grown tomatoes, cucumbers and carrots. It was dressed with a walnut and Riesling dressing, and served with a slice of baguette, topped with melted goat cheese. Heaven! The main course was the magnificent trout in Riesling sauce. The trout was first fried with butter in a pan for a short time. A sauce was made of chopped tarragon, chives, chervil, shallots and parsley, all from the IC Garden as well. Riesling and cream were added and the trout was cooked in the oven until tender and flaky. The trout was served in the cream sauce and was so lovely and succulent. Also served with the trout, were potato fritters, which were awesome. For dessert, we had a cheese cake called, Keiskuch, which was actually more of a curd pie than a cake. It turned out pretty good, but I think using cream cheese instead of cottage cheese would have been more authentic and a bit tastier. 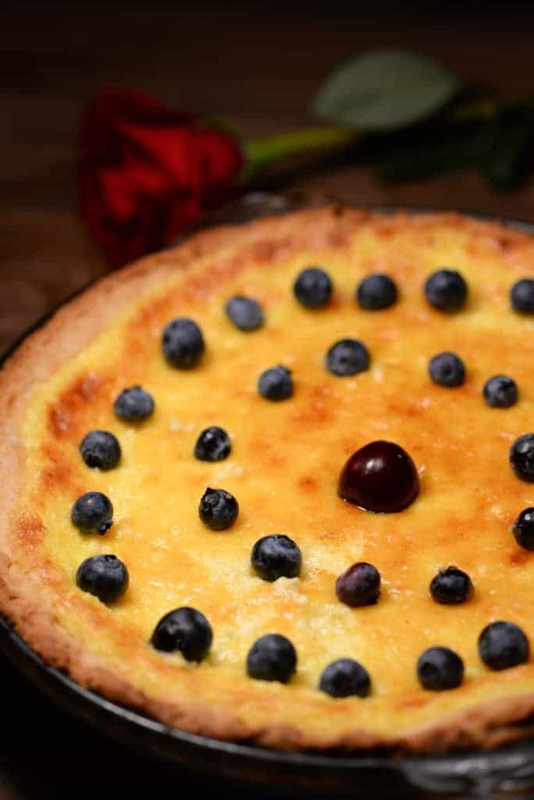 The cake/pie was topped with fresh blueberries from our garden. After the meal, we set our fork and knife together in the 5:25 position, signifying we were full and satisfied. Mir wellebleiwewatmirsinn, which means “We want to remain what we are” and who could blame them! I look forward to every new post, and taking my family on a food journey through the world. Thank-you for all your time and effort that makes that possible. What a wonderful comment. You made my day! Thank you so much for being a part of it. Can wait to see what you’re choosing for “m” or Mexico. It is not going to be an easy, so many incredible choices and so diverse by region. I am open for suggestions!